Despite all the financial tumults, the European Union is making its best to stay one big and happy family of nations. One of the steps in that direction will surely leave mobile carriers like Vodafone, Telefonica, Deutsche Telecom and France Telecom fuming with ire. 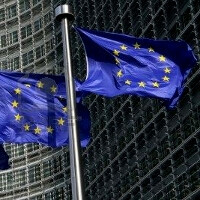 The European Commission is ready to propose new caps on roaming and data charges in the coming weeks, according to Reuters' sources. Roaming charges should go down to a maximum of EUR 0.24 ($0.33) per minute from the current EUR 0.39 - a 40% reduction. Data caps per 1MB while visiting a different country are to go down EUR 0.9 ($1.28), compared to the EUR 2.5 they are now. These prices are planned to be set in motion by 2014. By 2016 roaming charges will be abolished altogether, and the prices should come down to national levels, together with a reduction of text messaging prices down to 11 cents. The carriers can still contest the ruling, when it comes out, but given that the European Commission already rammed a few roaming charge reductions down their throats not so long ago, resistance might be futile. Moreover, they might be forced to place a EUR 50 ($70) cap on data usage while abroad, for those customers who haven't requested otherwise, with the aim to avoid "bill shock" scenarios when traveling. In the US this would be seen as total abuse of power, and to be fair it is overreach by the EU. But then again, at the same time, this is at least governments looking out more for the citizen than the business and an example of how Euopean regulators (although it's overreach because the Europan Comission isn't a regulator like the FCC or Ofcom is) actually regulate an industry and clamp down on systemic overcharging.